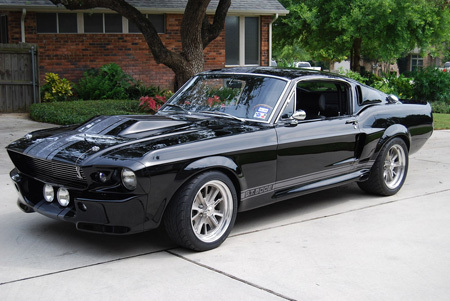 Want to win your very own brand new Shelby GT500? The Shelby American Collection, located in Boulder, CO, is raffling off one to help raise money for the non-profit museum. The car in question is a 2014 model painted in Sterling Gray and comes with just about everything you’d want – dual black stripes, the leather Recaro seats, the SVT Performance Package and the SVT Track Pack. In total, the car is worth $63,980. The Shelby museum says that no more than 4,500 tickets will be sold, although at least 2,500 need to be bought up for a winner can be selected. Tickets cost just $50, and you can buy as many as you want. The museum will even give you a free ticket for every five you purchase. The drawing will be held and the winner announced on September 14th at 6:00pm during The Shelby American Collection Annual Fundraising Party. For full contest rules or to purchase tickets, head over to www.shelbymustangraffle.com. This entry was written by by MustangsDaily (Mustangs Daily) and posted here on Wednesday, May 29th, 2013 at 4:27 pm and is filed under 2014 shelby gt500, News, raffles, shelby, shelby american collection, shelby gt500. This article was not written by us, rather gathered using RSS feeds listed here. We take no credit for this article. You can leave a response, or trackback from your own site.